I made a cake just like this one years ago and failed to get a decent photo of it, so I ended up re-making it again this year. I made it way back in January, then whacked the top tier off and used it as a “Valentine’s Day cake” for my Instagram (not sure if that’s being lazy OR resourceful!). 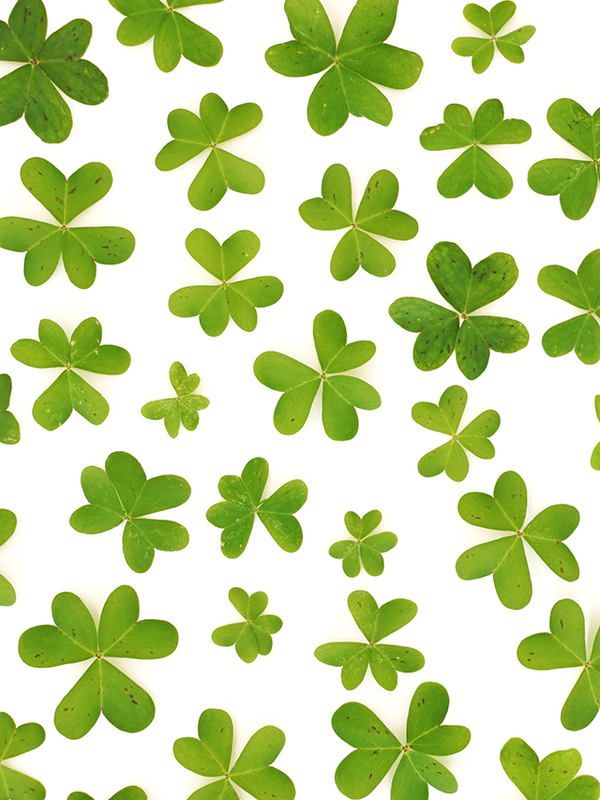 The reason I made it well in advance of St. Patty’s day was because my neighbor’s yard had all these amazing clovers (weeds) pop up, and I just had to take advantage of them before they died. Funny enough, with all the rain we’ve had in Los Angeles, they’re still going strong, so I guess I didn’t need to bust this guy out in January! 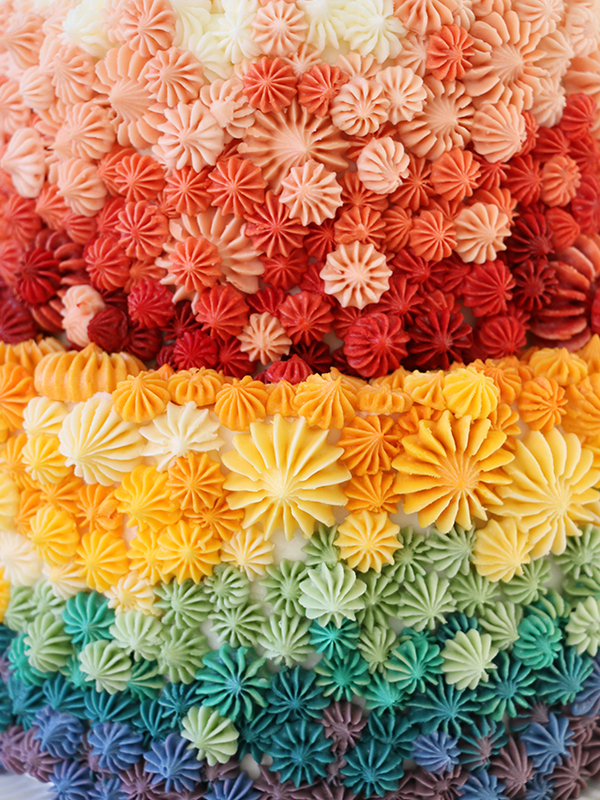 As you probably have noticed by now, I love pretty piped details on a cake…there’s nothing else quite as stunning when it comes to piping buttercream. 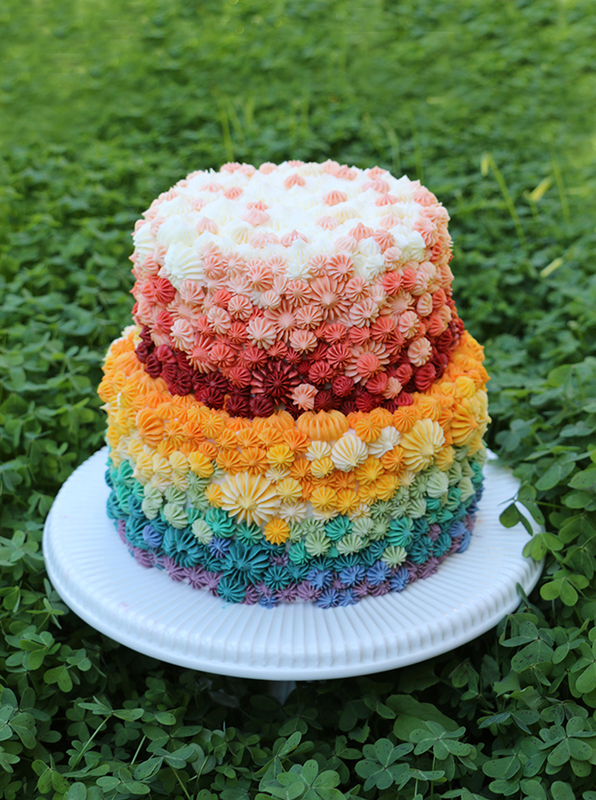 And while rainbow cakes like this guy work very well for St. Patrick’s Day, rainbows are affiliated with so much positivity, love, and pride, that this cake would work well any time of the year. 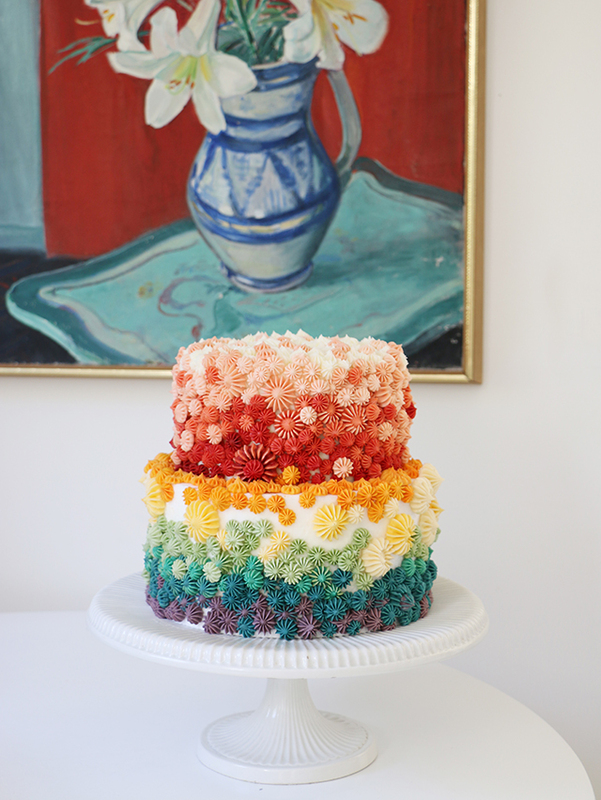 PS – Even unfinished, this cake looks perfect…so if you run out of buttercream, no sweat! 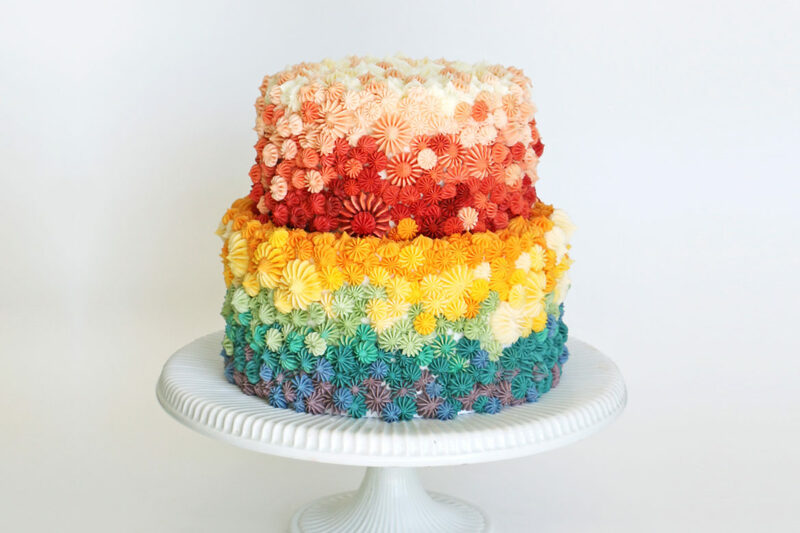 Can you tell me what tips you used for this cake? Are these done with a regular star tip? 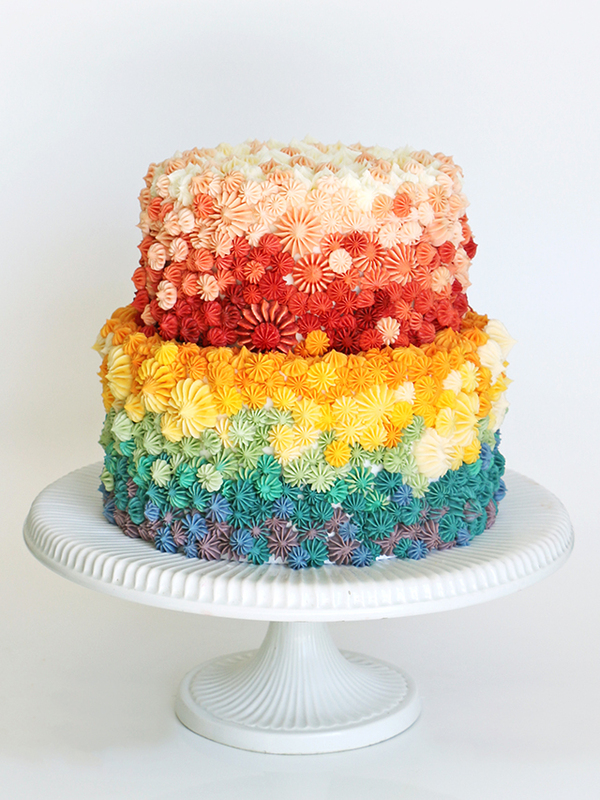 This cake and all of its detail is so stunning!! Do you share what piping tip you use to create those sweet piped buttons? Also, do you share your buttercream recipe? I totally understand if you don’t! You have an amazing gift!!!! !